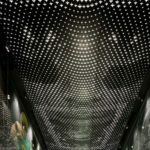 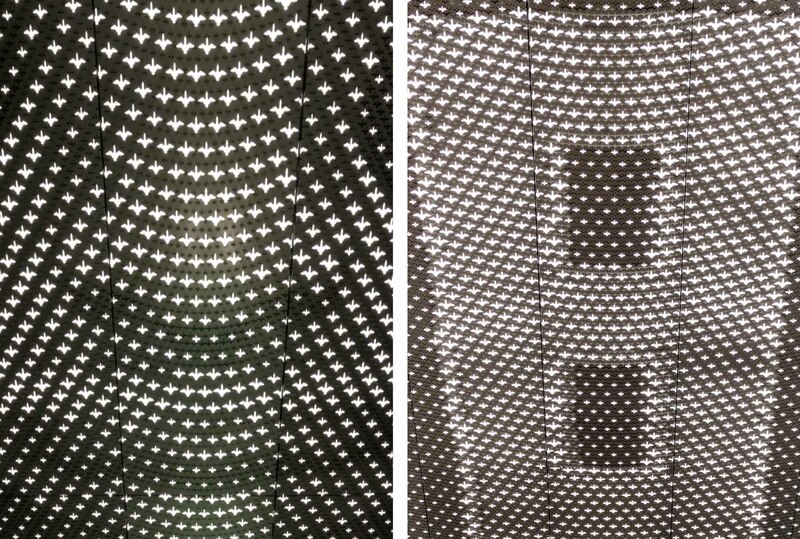 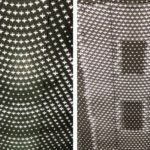 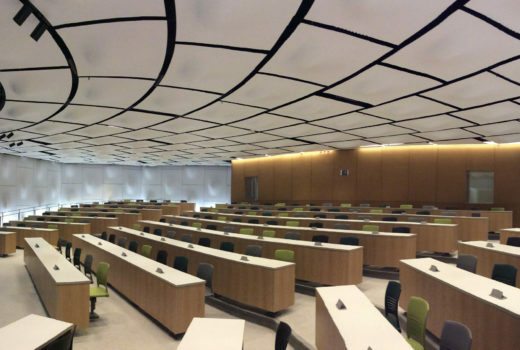 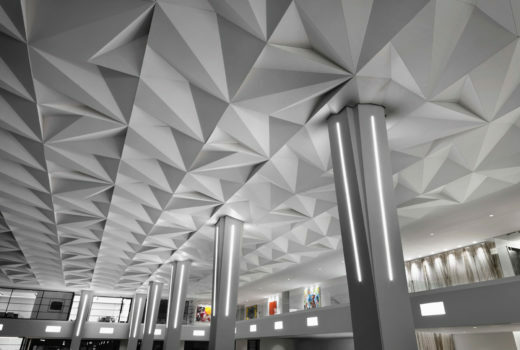 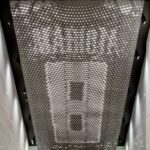 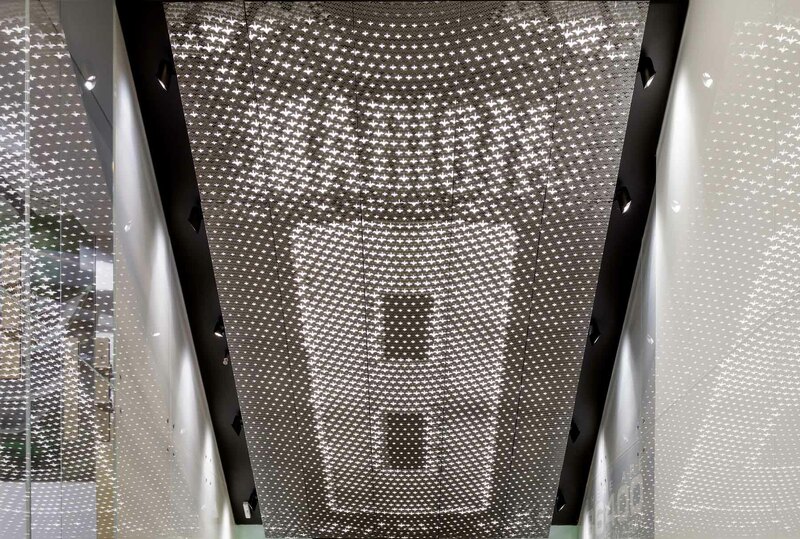 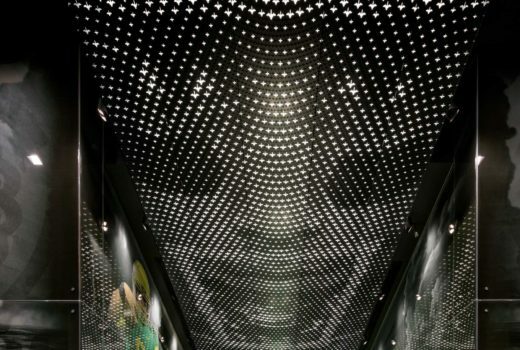 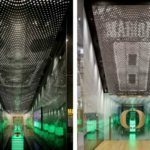 Arktura designed and manufactured this custom back-lit perforated ceiling for the University of Orgeon’s Marcus Mariota Sports Performance Center, in collaboration with SRG Partnership, as a defining element of the massive complex’s trophy room. 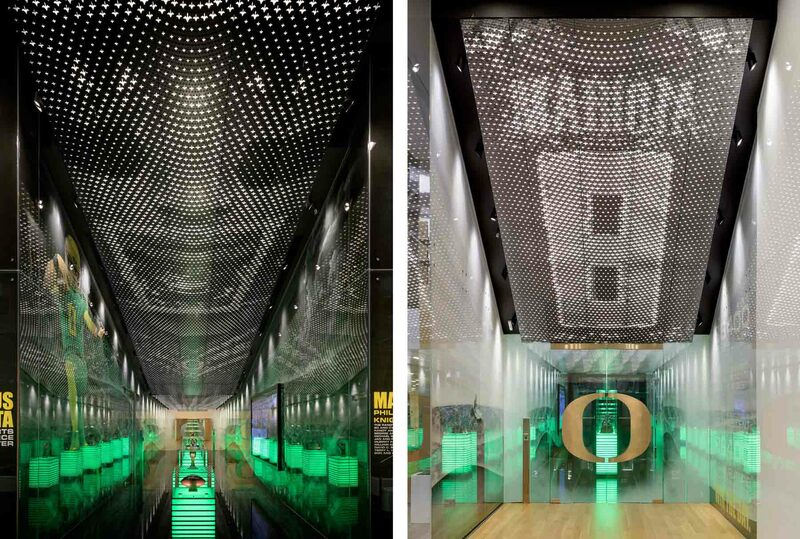 It presents stylized detail representations of Oregon star Marcus Mariota and his jersey, formed through a series of silhouettes of ducks in flight – a reference to the school’s mascot, the Oregon Duck. 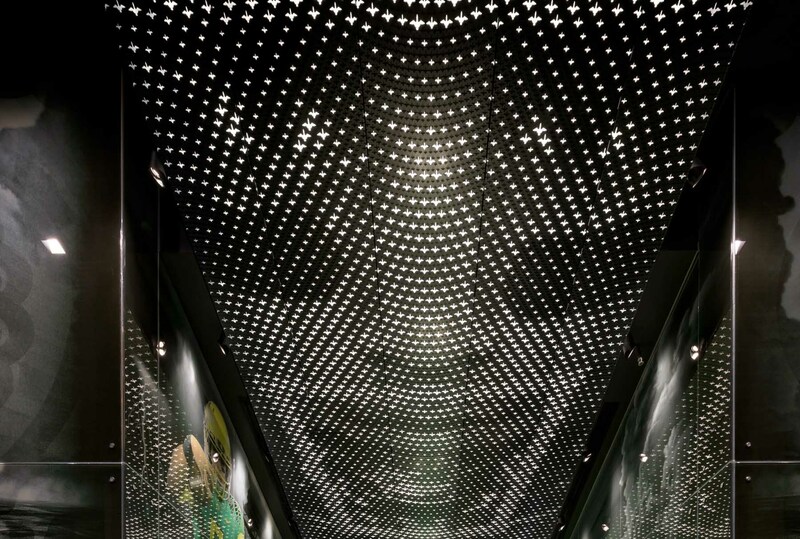 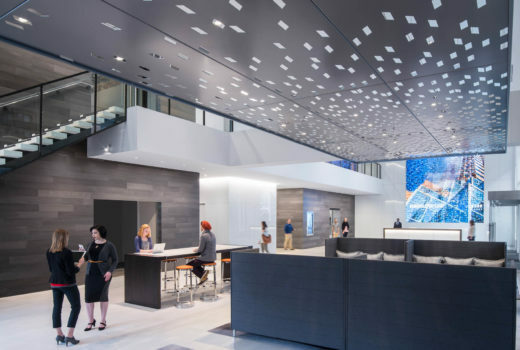 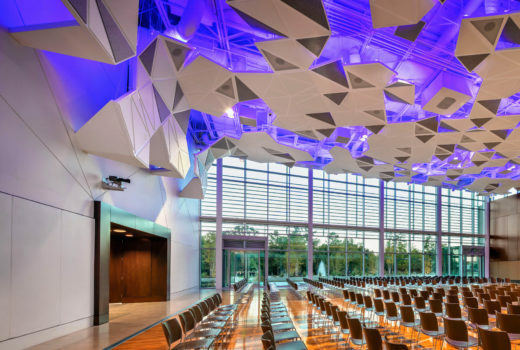 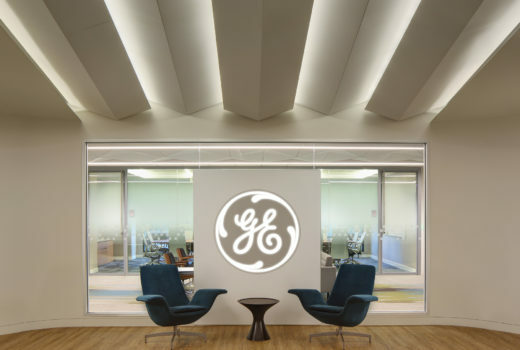 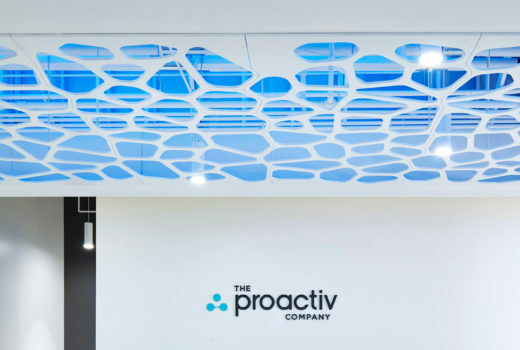 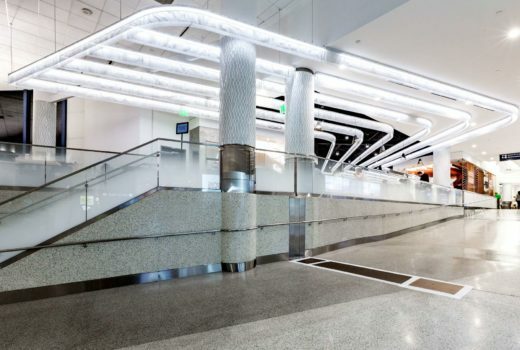 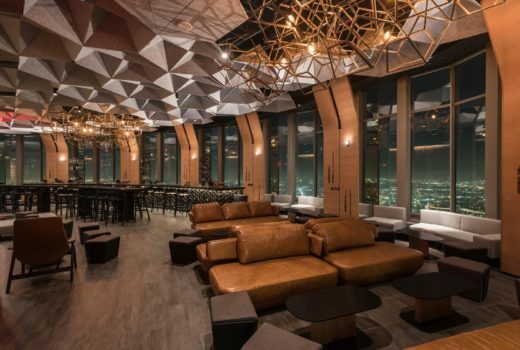 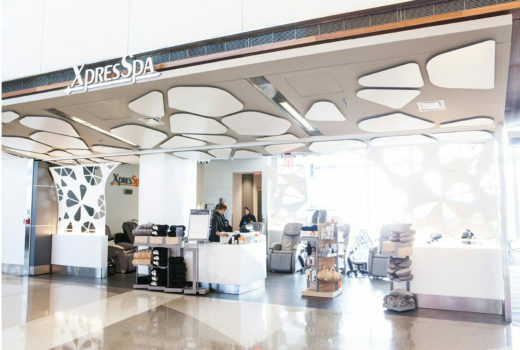 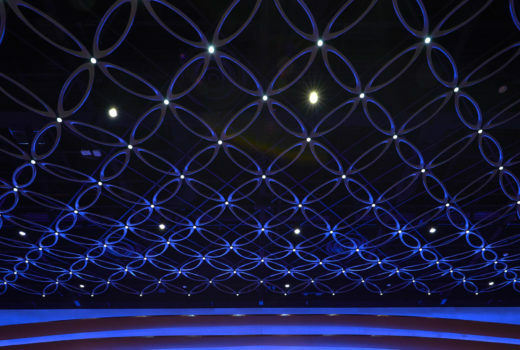 The ceiling combines several subtle details to create visual complexity and an unmistakable brand identity. 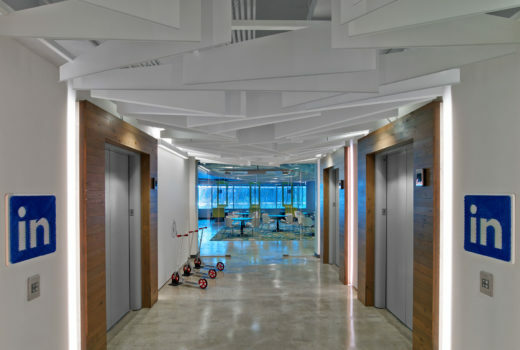 Note the use of two scales and colors of printed birds, in addition bird shaped perforations of various size.